History yawns like a chasm. History yawns like a chasm behind us. We have personal memories of what we did last week, a trip we went on a few years ago, events that occurred when we were children. But beyond that we have no personal experience. Instead we rely on the memories of those who are older than us. Your grandmother might regale you with tales of the days when she remembers a loaf of bread cost seventeen cents and a postage stamp four cents. Of days before colour television, or even before television at all. Beyond that there are no living people who can recount their personal experiences to us. Now we turn to historical records. Some of these are not that old: we can see TV shows made when we were children or before we were born, and films stretch back a bit further still. We can watch footage of the events of World War II, that defining event in the lives of a generation or two before most of us. Its repercussions still echo around the world today, and it is both informative and instructive to know what happened. But to most people alive today, World War II is the distant past, something that happened before you were even born. Something that looks ancient in the existing film and photographs of the era. But we have those films and photographs to show us some of what happened, so we can be sure it really did happen, even in another 40 or so years time when everyone who personally remembers the war is gone. 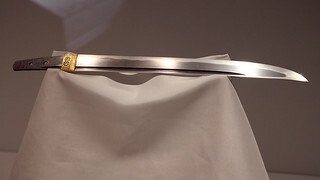 Japanese sword, Tokyo National Museum. Photographs stretch back into the 19th century. By the 1850s or so, photography was moderately popular, and so we have images of people in Victorian era dress, posing stiffly for the camera - a difficult task since exposure times for these early cameras could be several minutes. Photographs record cities and towns and villages of the time, so we can see what they looked like. It was a time before cars or skyscrapers, with clothing so different from now that if you wore it now people would assume you are going to some costume event. The 19th century was a vastly different place, yet we can see images captured for posterity. Beyond that, we must rely on written records, drawings, paintings, and eventually the sciences of archaeology and palaeontology. With written records we have a broad overview of European and East Asian history for several hundred years. But the records get progressively less complete as we go back in time. We know a great fire destroyed large parts of central London in 1666, but we don't know the name of the chap who owned the fish shop on some particular street corner. Or perhaps even that the building there was a fish shop at the time. We know about wars and disasters and explorations and royal families, because people at the time thought them important enough to write down. But a lot of the details of daily life in these times was not recorded and has to be inferred from objects left behind. We have weapons and armour and farming implements and household objects and buildings, passed down to us as a legacy of how people lived. Many of the most significant of these objects are stored in museums, where the general public can go and see them, getting as close to a first hand impression of history as possible. This is why museums are so fascinating. They are tangible records of events and things that actually happened, of people who actually lived and had lives as eventful and detailed as anyone today. A sword is not just a sword. It was a piece of equipment belonging to someone, wielded against straw dummies in practice, and possibly used in an actual battle. It may well have killed several people - human lives mortally affected by the piece of steel sitting in front of you. It may have been decisive in battle, securing a victory that altered the course of history, installing someone on a throne instead of a rival. The echoes of that sword may be still affecting your life to this day. 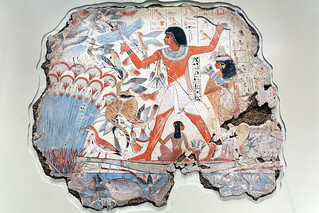 Artefacts provide confirmation and vivid snapshots of past lives and events. They tell us that yes, there really was a Roman Empire, confirming bits of recorded history that we might not otherwise be able to tell from made up stories. This is where archaeology comes in. We have written records of events going back a few thousand years, but we have to decide which ones reflect real events and people, and which are fantasy. In some cases, even the person who wrote them down didn't know reality from fiction. This is particularly true in cases of people writing about distant lands, in those days where the vast majority of people never travelled beyond the next village. The explorers and traders who took extraordinary journeys covering hundreds of kilometres came back with tales of strange people, places, plants, and animals. Scholars back home recorded these tales as best they could. So we end up with gazetteers and bestiaries which describe real things, misinterpretations of real things, and things that sound straight out of a fairy tale, all mixed together and treated as fact. An example is the vegetable lamb of Tartary. Travellers brought back tales of a wool-like material that grew on a plant. Such a thing being unheard of in western Europe, this was interpreted as small sheep growing on the ends of the plant stems. The plant would bend its stalks over to allow the little sheep to graze on the grass growing around the plant. Another example is that of the cynocephali, or dog-headed people, which many ancient peoples thought existed in various foreign lands. There is even a tradition that Saint Christopher, patron saint of travellers and often seen represented in medallions and pendants placed in vehicles, was actually a cynocephalus. Though not seen in modern representations, there are several old Eastern Orthodox representations of Christopher which clearly show him with the head of a dog. 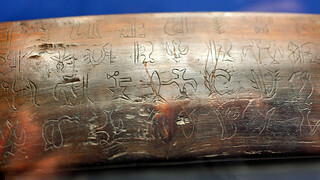 Mysterious inscriptions, Museo de Merced, Santiago. In many cases stories and truth have become conflated, and picking out the bits of history from the bits of fantasy becomes tricky. The tale of the Trojan War recounted in Homer's Iliad is a classic example. For a long time people thought Homer's tale was nothing more than a story, and the fabled city of Troy never really existed. Until the 1870s when archaeologist Heinrich Schliemann found and excavated a city near the Aegean coast of Turkey, just south of the Dardanelles. Findings at the site indicate to most modern archaeologists' satisfaction that Schliemann's find is actually the historic Troy, although Homer's description of the war is still counted as a myth, albeit based on a real place. For history as ancient as this, we must trust to our history books and the studies of scholars who make it their profession to dig through evidence and piece together the details of what happened in the past. But not entirely. We can still go and see relics of ancient civilisations in our museums or in archaeological sites. 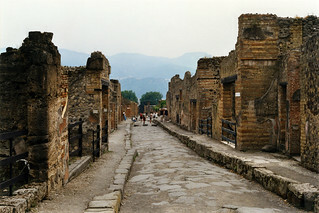 I don't entirely need to trust history books that there was a Roman town called Pompeii which was destroyed by Mount Vesuvius - I've seen it for myself. You can see the Rosetta Stone in the British Museum and translate Egyptian hieroglyphs yourself (if you can read Greek). You can see Great Zimbabwe and know that southern African civilisations had monumental architecture and cities before any European colonials arrived. You can see giant statues on Easter Island and think about the civilisation that erected them and rendered the island a barren, inhospitable place. 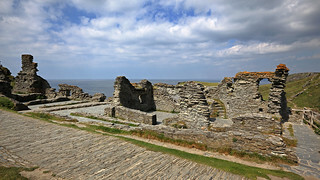 Tintagel Castle, legendary birthplace of King Arthur. If only we could communicate across the gulf of time. Imagine if we could give a person from the 17th century—the time of the English Restoration, Isaac Newton, the Great Plague, and the Great Fire of London—a Facebook or Instagram account, and we could follow their daily lives. It would be a fantastic (in both senses of the word) way to get a glimpse of daily life in an important period of history. Imagine that! Actually, we have the next best thing. Samuel Pepys kept a detailed diary of these events, as well as personal events in his day-to-day routine, and it makes fascinating reading. And you don't even need to make an effort - you can subscribe to his diary retweeted. History can feel intimidating and strange and unknowable. But we have the means to explore it, just as we have the means to explore the universe beyond our Earth, or the interactions of atoms that make our technological society function. Browse the history section of a book shop or library. There are lots of books there, about all sorts of topics. Even if you found history at school to be dull, or even your most hated subject (as I did), there will almost certainly be a topic in that vast expanse of time that interests you. Pick up a book and read more about it. 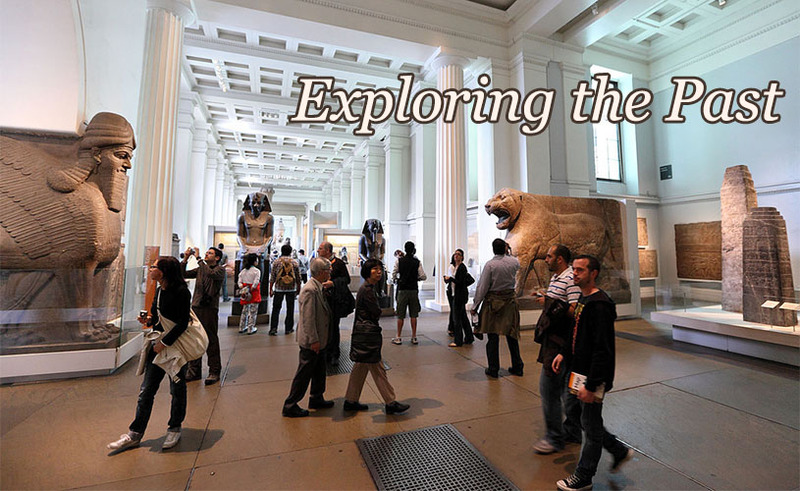 Visit museums and find the cool stuff that excites you, be it creepy mummies, fabulous treasures, or cryptic engravings. Soak in the fact that the world was not created in the 1990s, or 80s, or 70s, or whenever you first started to become aware of your own relationship with the world around you. Millions of people before you have led fascinating lives. The past is a foreign country; they do things differently there. 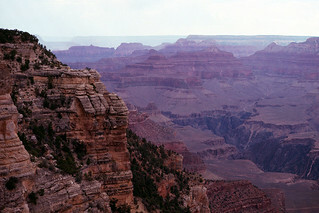 But like any foreign country, you can visit and be amazed. Last Modified: Sunday, 18 August 2013; 03:12:04 PST.